If you drop mascara onto your carpet, it is important to act fast. Blot the stain with a white paper towel or cloth to soak up as much as you can, and then use a solvent to remove the rest of the stain. Mascara may not come out on the first try, so you may need to try several different cleaning solutions until you find one that works. Always work from the outside edge of the stain toward the center to prevent the stain running or spreading. 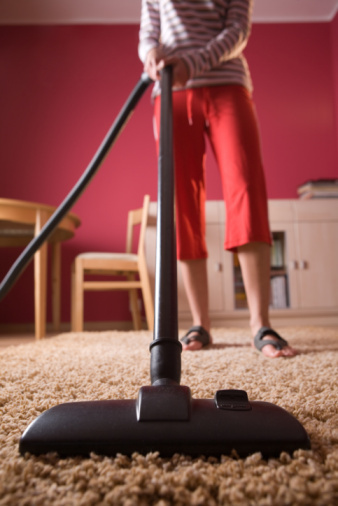 Make sure you test each cleaning solution on an inconspicuous area of the carpet to check for damage or discoloration. If it causes any, skip it and move on to the next solution. 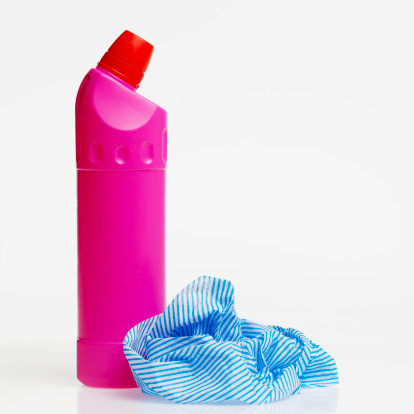 Dampen a clean white cloth or paper towel with some eye makeup remover and use it to dab at the stain. As you do, the mascara should transfer from the carpet to your cloth. Because it is made especially for removing waterproof mascara, eye makeup remover should be your first line of defense. Rinse the carpet with cold water once the stain is gone or move on to the next solution. Using the same method you used for the makeup remover, dip a white cloth into nail polish remover and try dabbing the stain. Rinse the area with cold water once you have removed the stain. Mix 1 tablespoon of dishwashing liquid and 2 cups of warm water. Blot the soap onto the carpet with a white cloth and rinse with cold water when the stain is gone. Combine one tablespoon of ammonia with 1/2 cup of water. Dab this solution onto the rug with a white cloth until the mascara is completely gone. Rinse with cold water. Dilute 1 teaspoon of white vinegar in 1 cup of warm water. Try this mixture if none of the others have removed the mascara from the carpet. If this one works, rinse the area with cold water when you are finished. If all else fails, go to your local furniture retailer, hardware store or dry cleaner and purchase some dry cleaning solvent. Dampen a white towel with the solvent and blot the stain again until it is removed. When you are done, rinse the carpet with cold water by blotting it with a damp cloth.